The European Destinations of Excellence project promotes the development of sustainable tourism in Europe, and it places in the forefront small, yet interesting destinations that offer authentic experiences and allow visitors to explore the rich local tourist offer. Every two years, new destinations – winners are included in the network, which can boast the richest tourist offer depending on the topic, which changes with every call for applications. In 2017, we searched for places with original cultural offerings based on local tradition. The purpose of the European Destinations of Excellence is to increase the recognisability of emerging European destinations, facilitate the exchange of best practices across Europe, and promote the cooperation between selected destinations that are located in the 27 EU Member States and Candidate Countries. Their key characteristic is the commitment to social, cultural, and environmental sustainability. Destinations in Slovenia competed for the European Destination of Excellence title for the first time in 2008. 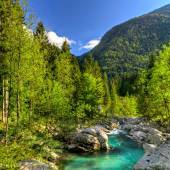 The title has already been awarded to seven Slovenian destinations. Fourteen destinations have made it to the finals of the selection process. 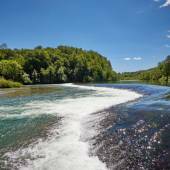 Which are the EDEN destinations in Slovenia and why? Every other year, the European Commission, in cooperation with the state authorities competent in regard to tourism, determines the annual project topic to create a guideline for all further activities. The theme of 2017 was Cultural tourism. The destination Koper won within European Destinations of Excellence — Cultural tourism selection. Congratulations to Koper! As a destination, Koper is an excellent example of the co-existence of history, culture, nature, tourism, and modernity that convinced a committee of experts with its excellence in cultural tourism and was thus declared the winning destination in this year’s selection. When you visit Koper, may the sun accompany you at every step. This age-old symbol greets you at the town gate inviting you to the town's streets and squares marked by the culture of the Republic of Venice. The 2017 European Destination of Excellence is a town of tourism that is committed to cultural and environmental sustainability. 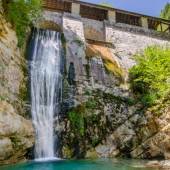 The town that is inseparably connected to Istria, the green hinterland of the Slovenian Adriatic coast, is also one of Slovenia's green destinations – Slovenia Green. La Serenissima is the alternative name for the period of the Republic of Venice, and today this name conveys being in touch with oneself and with nature, which you can achieve by taking walks in the Koper countryside. In addition to guided tours, trips, and themed trails, Koper and Istria provide you with excellent opportunities for sports activities in nature all year round. You can truly experience the heritage and sun of Koper when you taste them. 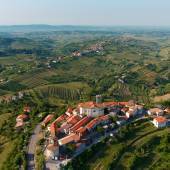 The area with world-renowned olive oil and wine producers allows gourmets to enjoy Mediterranean and authentic Istrian cuisine, the natural ingredients of which will take your breath away. Their taste is full due to the power of the sun in the sunniest town in Slovenia. Four Slovenian destinations have been placed as finalists - Ptuj, Kras, Radol'ca and Slovenske Konjice. Nowadays, Ptuj is a vibrant cultural centre, a town of festivals, extraordinary ethnographic lore, and living tradition. A stroll through the oldest town in Slovenia will take you past ancient Roman monuments and medieval buildings to one of the most magnificent castles in Slovenia. Regardless of whether it is summer or winter, Ptuj offers cultural experiences 365 days a year. Wonderful views of forests on the Pohorje Hills stretch from Slovenske Konjice, a pleasant medieval town, which was founded almost a thousand years ago as a market town. The town has been named the most beautiful town in Slovenia for day trips many times, and it is also known for its proximity to cultural attractions, among which the Žiče Charterhouse is the most prominent. Vineyards, scattered villages, a mystical world of underground caves, and trails lined with stone walls create the unique landscape of the Karst. Together with their excellent wine and culinary offer, these towns are integrated into an experience for those seeking a peaceful getaway and those who love the countryside lifestyle. Through its mix of nature and tradition, Radol'ca offers many experiences of culture, nature, and tradition. It is considered to have one of the most beautiful town centres in Slovenia, and centuries-old villages that surround it, excellent cuisine, options for recreation, and events invite visitors to come and explore “rustic” Slovenia. 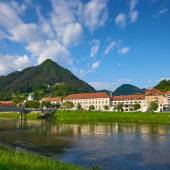 Explore Slovenian Destinations of Excellence! The European EDEN network consists of Member States and Candidate States that joined the EDEN project. The European Destinations of Excellence project was formed in 2006 at the initiative of the European Commission. The main objective of the project is to promote and develop sustainable tourism at the national level. Diversity and common values help enhance the cooperation among the countries participating in the project. The entire project is spearheaded by charismatic individuals, whose extensive experience in tourism allow them to form a group of EDEN ambassadors. All winning destinations make up the European network of EDEN destinations, for which the European Commission organises two workshops per year, at which destinations acquire knowledge on various topics related to the sustainable development of tourism and form many new ties with all parts of Europe. The EDEN project also pays special attention to tourism among the elderly. 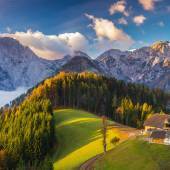 The EDEN55plusNW project connects five EDEN destinations in Austria, Slovenia, and Croatia, and it is focused on promoting sustainable destinations in these countries among elderly tourists in the Italian market. EDEN project ambassadors on the national level are persons whose extensive experience and knowledge of tourism help promote its sustainable development. On a national level, they are selected by national tourist organisations. They include individuals from various social environments – journalists, travellers, authors, and artists. They believe in the basic idea of the EDEN project and their main goal is to enhance the public's awareness of the sustainable development of tourism and its promotion. Dr Janez Bogataj, a Slovenian ethnologist and art historian is one of the nine selected individuals, ambassadors of the EDEN project. 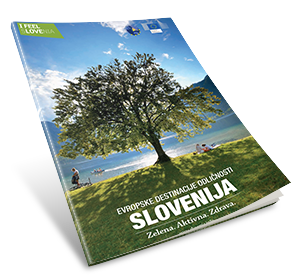 Learn more about sustainability of Slovenian Tourism. Explore places that pay special attention to the development of an authentic and rich tourist offer and emphasise sustainability and socially responsible tourism.